Experience can make all the difference in your land development projects. The leaders at Watermark Engineering Resources come from diverse backgrounds and bring proven expertise and unique perspectives to every project. All of the associates at Watermark are dedicated professionals who have consistently demonstrated outstanding leadership, skills, expertise and talent. Our commitment to forging long-standing customer relationships is reflected by the people behind your projects. Jeff has practiced civil engineering in the Northern Illinois region and surrounding areas since graduating from Purdue University in 1985. His specialty is in the land development arena, including the coordination of consulting teams, project due diligence, site planning, storm water management, utility infrastructure, earthwork, erosion control, and professional zoning testimony. 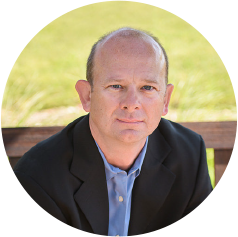 Whether a small local privately-held company or a large nationally known corporation, Jeff has provided valuable consulting and project management to help his clientele achieve their goals since founding Watermark in 1998. 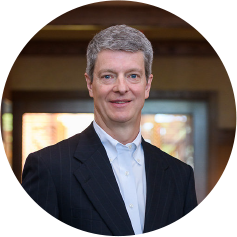 Bill is the Vice President of Engineering at Watermark and has practiced land development civil engineering since graduating from Purdue University in 1995. He is a licensed Professional Engineer and has worked on a variety of different projects ranging from 1/2 acre retail developments to a 300 acre industrial park. He has direct client contact from the introduction of the project, through all steps of the planning/design process, to the final issuance of the occupancy permit for the project. Bill’s strength includes his knowledge and experience of developing a wide range of retail and industrial projects and navigating through the obstacles that arise during the course of the projects. Dan’s experience in the industry began in 1999, as a landscape designer for a local firm. In this role Dan learned formative lessons about design, customer service, and construction management. Building on this experience, he went to work for a residential development firm where he was responsible for large scale subdivision site planning, streetscape design, planting plans, and neighborhood park design. In 2007 Dan joined the Watermark team, implementing planning and landscape design as new services to our clients. 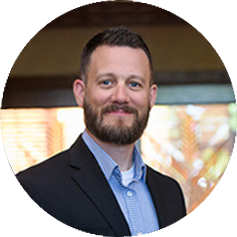 Since joining Watermark, Dan’s professional expertise and responsibilities have grown to include large scale project management, ADA accessibility, and zoning and entitlement approvals. In his current role, Dan oversees the planning and landscape architecture department at Watermark. Dan uses his experience and industry knowledge to lead his team in serving a growing portfolio of projects and clients.